Wondering which tartan you can wear? If there’s a clan tartan out there for you? Or what the difference is between ancient and modern clan tartans? We answer everything you ever wanted to know about tartan – and more! Tartan is a piece of woven cloth (historically made from wool) that is made up of brightly coloured stripes, arranged in patterns known as ‘setts’. These intersect each other to form colourful checks. Historians say that Celts have woven plaid (tartan) cloth for thousands of years. In the Highlands tartan was spun, dyed and woven locally, and the cloth was used to make kilts and for everyday wear. Why is it associated with Scottish clans? The origin of Scottish clan tartan is difficult to pinpoint. Skilled weavers produced tartan cloth for local people, so specific tartans may well have been recognisable for certain areas, districts and possibly clans. Following the Jacobite Rising, the British Government passed the 1747 Act of Proscription in an attempt to destroy the clan system and bring the Highlands under their control. Under the conditions of this act, tartan was banned in the Highlands between 1747 and 1782, but it lived on in Scottish lowlands and in the uniforms of the Highland regiments. Following the end of proscription a new romantic re-interpretation of Scottish history began. This period, the end of the 1700s and early 1800s, was when many of the official clan tartans were formally recorded. Which tartan can I wear? You can wear almost any tartan. Some are reserved for clan chiefs and the Royal Family, and some have been designed by individuals or corporations for their use only, but these won’t be widely available. For most people, a key factor when choosing their tartan is having a connection with the tartan they wear. One of the most obvious ways to find that connection is by doing a bit of research to discover if you belong to a Scottish clan. ScotClans is a great resource for clan information. You can even look up your surname to see if it’s associated with any of the Scottish clans. Remember, some spelling variation exists for surnames, ie MacDonald and McDonald, so try these too. It’s also worth checking the surnames of your ancestors if your own doesn’t have a match. You can then browse all your clan tartan at The Scottish Register of Tartans or the Scottish Tartans Authority. 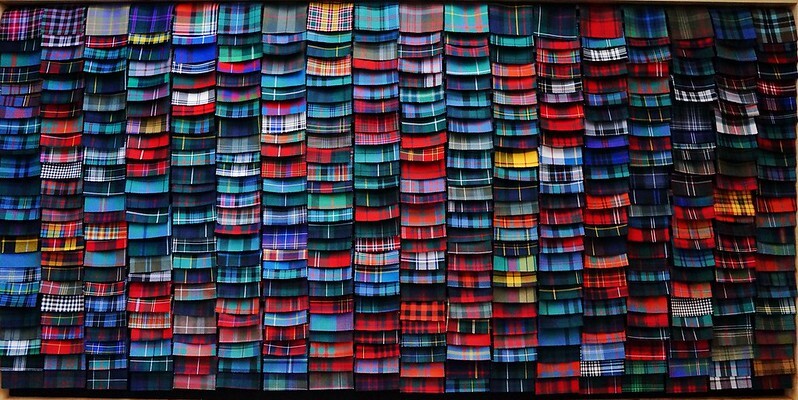 Why are there so many types of tartan? Ancient – vegetable dyes are used to give softer colours. This mimics the way tartan used to be produced (using natural dyes) before chemical dyes were invented. Modern – modern chemical dyes are used to give darker colours. Reproduction/weathered – colours are reproduced from weathered tartan historically found in homes or on battlefields. The two other options you’ll most commonly see are dress and hunting tartan. These are made by replacing one of the original under check colours with white for dress tartan or brown, blue or green for hunting tartan. Can I wear tartan if I don’t belong to a Scottish clan? Yes, you absolutely can! 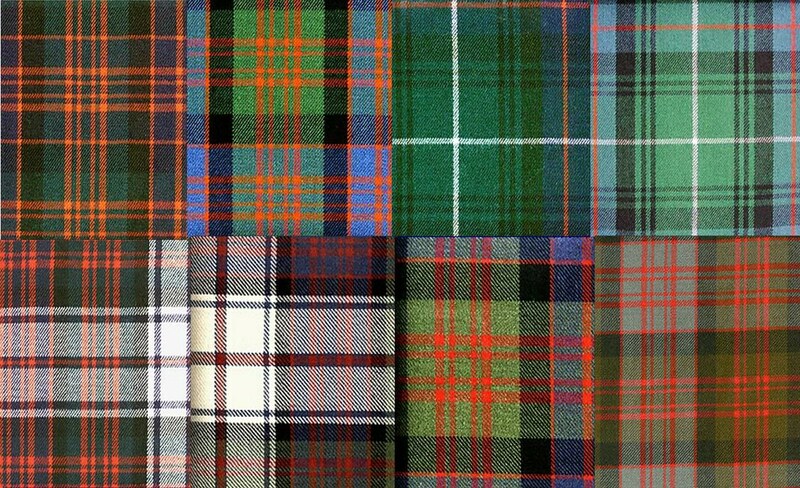 There are plenty of universal tartans you can choose from if you don’t want to wear a clan tartan. 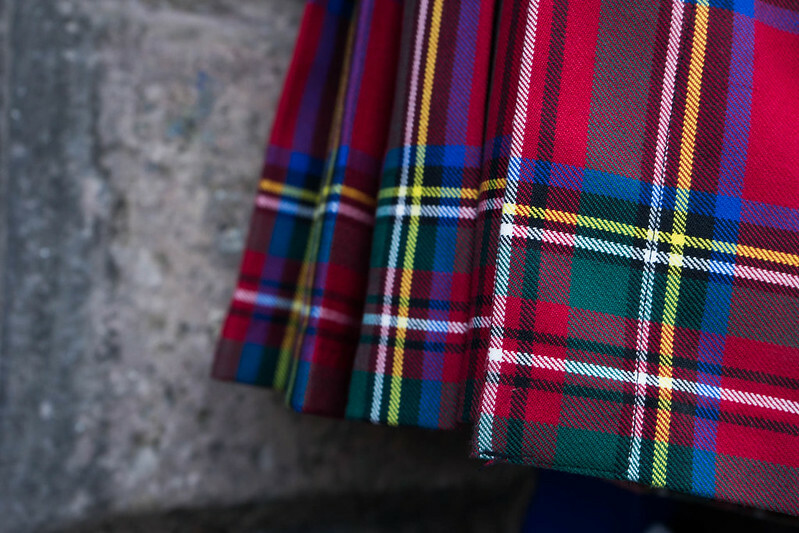 You might find a special connection with a commemorative tartan that symbolises a specific person or event, or with a district tartan that has been designed with a specific geographic region, town or city in mind. If you have a favourite Scottish place, or your relatives were from a specific area, choosing its district tartan is a great way to symbolise that connection. It’s also perfectly acceptable to pick a tartan simply because you like the colours and the sett. There are no specific rules governing which tartan you can wear, just traditions. The most important thing is it makes you feel proud to wear it. The Pipe Band Competition during the Forres Vintage Vehicle Day, Forres, Moray. Find out more about tartan and kilts, browse tartans at The Scottish Register of Tartans or find out more about tartan and Highland dress at the Scottish Tartans Authority. Found your tartan? Got your outfit sorted? 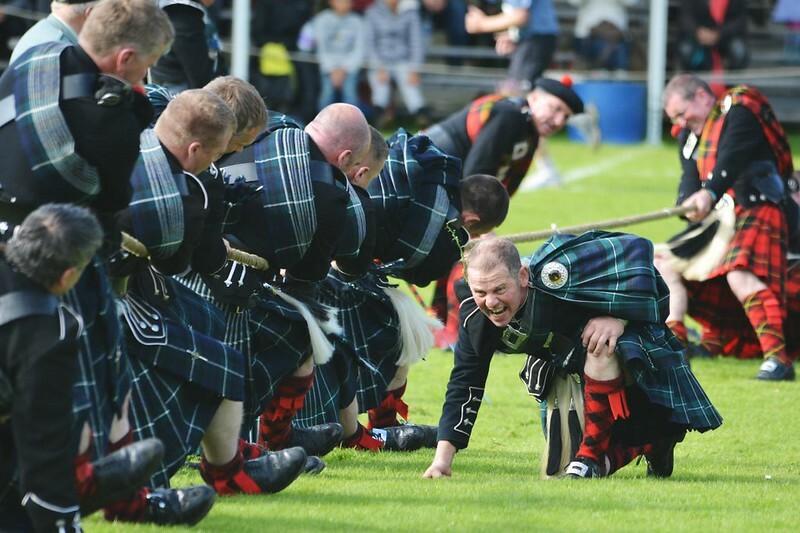 Find places in Scotland you can wear it to, from ceilidhs to Highland Games. Make sure to share your pictures of Scotland with us using #ScotSpirit too!